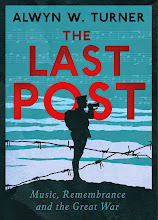 11 November, 8 pm - London - Hatchards, Piccadilly Circus - talking about The Last Post. 15 November, 3.15 pm - Manchester - Palace Hotel, Oxford Street - interviewing Don Powell of Slade. 22 November, 6 pm - Taunton - Brendon Books, Bath Place - talking about The Last Post. One of the joys of posing as a historian is that it kind of absolves you from the need to predict the future - that's someone else's territory. But fortune-telling is all the rage at times like these, so I thought I'd better have a go at it myself. Or rather, I thought I'd dust off some of my previous predictions and see if they still stand up (in my eyes). After the European elections earlier this year, I said that I thought UKIP had reached its peak level of support at around 4.35 million votes. If you hadn't voted for them on that occasion, I reckoned, you were unlikely to do so in the 2015 general election. I still think that's true. For the last couple of years, UKIP have been enjoying high turnouts while supporters of the established parties have had a tendency to stay at home. This is likely to be reversed in the general election. But I'd also restate the same proviso that I made in May: UKIP could do a whole lot better if they changed their leader. Nigel Farage has won as much support as he's ever going to; if you've not been convinced by him yet, you won't be in the next six months either. But now - for the first time since the frabjous days of Robert Kilroy Silk - there exists a potential rival for the leadership in the shape of Douglas Carswell. It's too late to change before the election, but I would assume that by this time next year Farage won't be the leader. My prediction for UKIP in the general election was 2.5 million votes and fewer than five seats. On sober reflection, I now think that might creep up to eight seats, but I still think five more likely. Which would make them the sixth largest party in the House of Commons. I still expect David Cameron to be the prime minister. That does still seem to me to be the case. The parties as they currently exist are clearly inadequate. But I don't think UKIP are yet a significant element, save perhaps to hasten the change. Under Farage, they're a symptom of uncertain times, not the future. The psephologists I've heard all talk about UKIP's support being disproportionately comprised of the old and the academically unqualified, a finding that chimes with the radio phone-ins to which I listen with such enthusiasm. That's not the basis for a major national party. It's not an image that inspires converts, as Carswell's acceptance speech at Clacton seemed to indicate; he didn't sound overly enthused by the company he's now keeping. So maybe UKIP do well enough next year that they decide to present a serious challenge. They change their leader, change their identity and become a coherent - if hard-right - party. I still think Cameron can win an outright majority, but if not and he has to cobble together a new coalition that excludes UKIP, there will be unhappy Tory MPs who could defect. And there'd be even more unhappy Tories after a European referendum, when a majority of the country decide that they don't want to be associated with UKIP and vote to stay in the EU. On balance, I think UKIP are likely to recruit more defectors in the next parliament than in this. And yet that's not sustainable either, because the country is not moving to the right at all. It feels to me as though there's a strong centre-left consensus waiting to be built. And in this context, I should be clear that my point about 'new political forces' did not necessarily refer to new parties. I pointed out that the last time there was this much dissatisfaction in the country, it resulted in Margaret Thatcher staging a coup within the Conservative Party. And still, above everything else, the most frustrating thing in modern British politics is that fact that Labour Party have missed so comprehensively their opportunity to articulate a new vision for the party in the same way that Thatcher did for hers. This is not - not this time - a criticism of Ed Miliband. It's a criticism of Tony Blair. The possibilities that were open to Blair in the late-1990s, before he got into invading other countries, were almost limitless. All squandered, all lost. It'd be nice to think that a new populist party of the left could emerge, but it doesn't seem very likely somehow - the chance has gone. In short, something's going to change. But I'm a historian and I have no idea what. There's no point coming here looking for predictions. Credit where it's due. On hearing the news that Jim Dobbin, MP for Heywood and Middleton, had died on 6 September, the Labour leadership rushed to call the by-election for 9 October. Indecent haste, some said; should at least wait till the man's been buried. But there was a remorseless logic at work. The Clacton by-election was already scheduled for that date, and UKIP were expected to throw all their resources at getting Douglas Carswell returned to Parliament as their first elected MP. By holding their own vote on the same day, Labour clearly hoped to split UKIP's forces, obliging them to campaign on two fronts. And last night we saw why the leadership was so worried. On an admittedly low turnout, Labour's vote collapsed by nearly 7,000 votes and UKIP registered 39 per cent. In a rock-solid Labour seat in the north. If just 309 additional voters in Heywood and Middleton had switched sides from Labour to UKIP, then the seat would have been lost. So credit where it's due: Labour recognized the threat posed by UKIP. But that's all. The only answer to the problem the party could come up with was a tactical manoeuvre. Apart from choosing the date of the by-election, everything else was astonishingly inept. Well, yes, some of the show - most of it perhaps - has dated over the last half-century, but I'd recommend watching Millicent Martin singing about racism in Mississippi if you want to see how powerful and chilling real satire can be. Nothing on television today comes even close. That's because today's television really is tame.